Mobile commerce is spreading like a wildfire. Indeed, it has taken the larger chunk of E-commerce market and will soon dominate the online promotional channel. A recent research analogy done to find the conversion rate for PC/laptop, mobile phones and tablets reveal astonishing results. Nearly 78% of mobile users, seeking business information, end up in a sale, while it is just 61% for PC/laptop users and 64% for tablet users. It is clear that mobile searches overpower searches done through PC or a tablet, with a significant margin. More interesting are the figures from last year for Mobile E-commerce. Approximately 55% of the time spent on E-commerce happened through a mobile device, while the revenue generated by Mobile E-commerce was around $41.68 billion dollars. That is huge and something that companies can’t ignore anymore. Yet again, Statista’s latest m-commerce survey on sales in the United States showed a revenue of 48.9 billion U.S. dollars. This includes 8.89 billion dollars coming from the mobile downloads and in-app revenues.The pace of growth shows no signs of turning sluggish. The forecast for 2016 are equally optimistic with an increase of 57.75% in the world’s mobile phone users. This means that the key strategy to achieve success for any business is to be ‘mobile-ready’ first. This year more companies are investing in creating premium mobile experiences for their customers. The journey to built a ‘Mobile friendly online store’ starts with equally matchless tool, Magento. 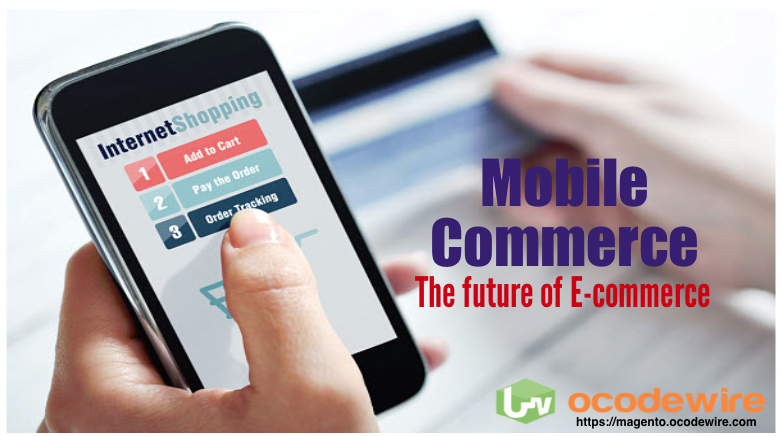 The infiltration of mobile commerce as a dominant channel to achieve profits has also led to the proliferation of numerous website development platforms. But, the most responsive and robust among the entire crew remains to be Magento. With about 30% market share to its credit, Magento is the most chosen e-commerce platform today. According to Alexa, over, 34% of the top 1 million websites use it for their online business. Magento is completely designed to host websites for any screen size, enrapture audience interest and giving them an amazing experience. In the past few years, innumerable online stores have chosen Magento to grow their small business into large profit generating businesses, nurturing the channel of m-commerce. Moreover, Magento has significantly changed the m-commerce topography by decreasing the cost and time-span required for creating a mobile responsive website. This is why smart marketers have rightfully leveraged customer behavior to market their brand and value proposition using Magento. This platform brings a responsive and seamless experience for the shopping cart and checkout which makes it a more preferred choice. But leveraging the benefits of this channel requires precarious balance of a fulcrum, which only an experienced team of Magento developers can give you. With limited knowledge of Magneto and its architecture you will find it difficult to utilize its complete functionality. That’s where Magento Ocodewire will help you. Give us a call or write to us. Mobile commerce is ready to offer you growth, so let our Magneto development team help you discover the hidden profits that even you didn’t know existed.